Are you looking for creative and cost-effective ways to save energy, reduce utility bills, upgrade your home’s technological framework? Lutron makes this more than possible with its RadioRA 2 -- also known as wireless total home control. The system provides you the power to adjust the amount of daylight and electric light, room/home temperature, and energy utilized by all of the appliances and electronics room-by-room or throughout your entire home. Saves Major Amounts of Energy. The system includes a combination of light, shade, temperature, and appliance control to significantly reduce the amount of energy you utilize each day. Ease of Use. With the push of a single button, it is possible to create the perfect combination of energy saving elements that can include adjusting room lights, shades, and temperature to the exact level that you desire. 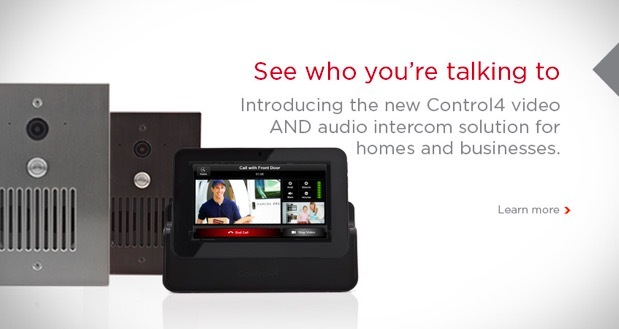 This can either include room-by-room control or throughout the entire home. Ambiance Control. RadioRA 2 is an amazing tool for creating the exact ambiance you are looking for at any time. For instance, when you fire up the flat screen TV for one of your favourite movies, you can set the system to automatically dim the lights, close the window shades, and adjust the temperature to a comfortable level. Appliance Control. It is possible to control all of the appliances in your home such as computers, monitors, televisions, and air purifiers by placing them on standby. By utilizing this functionality, you can save an estimated 10 percent of the energy you normally use on a monthly basis. Custom Technology. The system can be built out to meet your specific needs. You can control settings via wall panels, tabletop controls, or handheld devices. It is also possible to access controls remotely when you are on the road or out of the country by utilizing your iPad or PC Tablet. The opportunities are endless with Lutron’s RadioRA 2, thus the key to discovering the right mix within your home environment is to assess all of your lighting fixtures, lamps, electronics devices, and appliances and dreaming up the right solution for you. Also, you should think about how you would like to control your system. Would you prefer wall panels, desktop and/or handheld controls, mobile device controls, or all of the above? At Digital Smart Homes, we offer the entire Lutron RadioRA 2 system and can help you find the best solution that will best fit your needs. We can also visit your home and provide ideas for helping you create a cutting-edge and efficient home environment. For more information, we invite you to visit our certified showroom or call our team at 604-375-3474. In today’s world, video conferencing is increasingly becoming a way of life for leading and emerging organizations as they work to compete in the global marketplace. There are numerous reasons business leaders, educators, and individuals are finding it essential to invest in revolutionary technologies capable of connecting multiple offices, making remote training/education possible, and allowing for instant connection with others. 1. Cut Travel Costs. Gone are the days that you must invest heavily in travel expenses. Video conferencing allows for you to schedule numerous meetings and conduct them without having to budget for flights, hotels, meals, and entertainment. 2. Immediate Connection and Information Sharing. 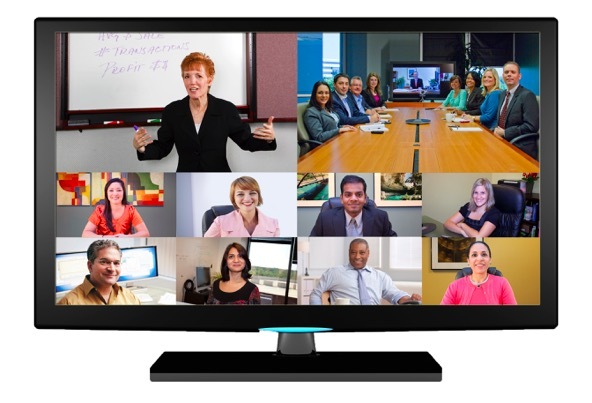 Video conferencing can be facilitated at any time. Throughout the conference you can utilize numerous tools for sharing key information including PowerPoint slides, documents, computer screens, whiteboards, video clips, and more. There is no need to schedule for travel time, which makes for more efficient use of time and resources. 3. The Power of Face-to-Face Communication. There is a definite power associated with being able to actually see the person to which you are speaking. This is why throughout history business leaders have spent numerous dollars on travel expenses for their employees as they work to connect with fellow employees, suppliers, and customers. E-mails and phone calls can only go so far where personal touch is concerned, as key messaging can be misconstrued without being able to read the other person’s expressions. 4. Custom Infrastructures Available. Today’s video conferencing technologies can be scaled out to fit the exact needs of an organization. For instance, in the case that you want to connect each of your office boardrooms that are spread throughout the country, there are technologies that will mirror your boardrooms with matching décor and furniture that provide the illusion that you are sitting across the table from remote participants via large screens. On the other hand, if you are looking for a simple one-on-one conversation, video conferencing can be done via laptop. 5. Reduce Office Expenses. Video conference has the power to save you numerous dollars on offices expenses and supplies including phone lines, fax lines, paper, industry sized copy machines, and more. The digital world makes the sharing of documents and information easier than ever! We at Digital Smart Homes work with individuals and organizations build out their video conferencing setups utilizing LifeSize’s technologies. A division of Logitech, the company produces a vast selection of products used by small and large businesses, educators, health providers, entertainment companies, and non-profits. The beauty of LifeSize’s innovations is that they have worked tirelessly to develop solutions that take every aspect of an organization’s needs into consideration. Utilizing the immense LifeSize product line, we work with our clients to develop a creative solution that will help them streamline their business processes and cut costs. For more information, we invite you to either visit our showroom or give us a call at 604-375-3474. Niles’ new GS Garden Speakers line is constructed of rugged, long-lasting materials and features high-quality audio components for amazing outdoor audio systems. LAS VEGAS, NEVADA, January 11, 2012—Niles®, The First Name In Custom Installation®, today introduced a new line of outdoor speakers and an in-ground subwoofer, which all feature rugged construction, long-lasting materials and deliver superior audio fidelity for all outdoor applications. 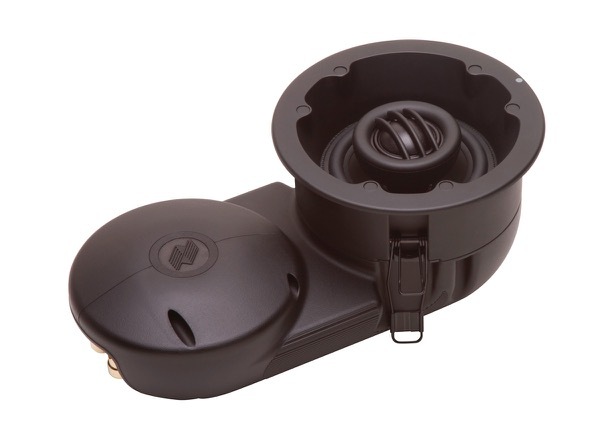 The new GS Garden Speakers deliver Niles’ legendary high performance sound quality and the speakers’ rugged construction gives dealers an ideal, long-lasting outdoor audio solution. Dealers can now provide Niles’® legendary high fidelity audio performance in virtually any location with a compact loudspeaker that has a mere four-inch footprint. LAS VEGAS, NEVADA, January 10, 2012—Following the introduction of its new CM Series Ceiling Mount Loudspeakers at CEDIA 2011, Niles®, The First Name In Custom Installation®, today announced the introduction of the company’s first-ever compact ceiling mount loudspeaker with a mere four-inch footprint, the CM4PR. It is the first small, designer-friendly loudspeaker to deliver audiophile grade performance so speakers can be placed in aesthetically pleasing, unobtrusive areas. 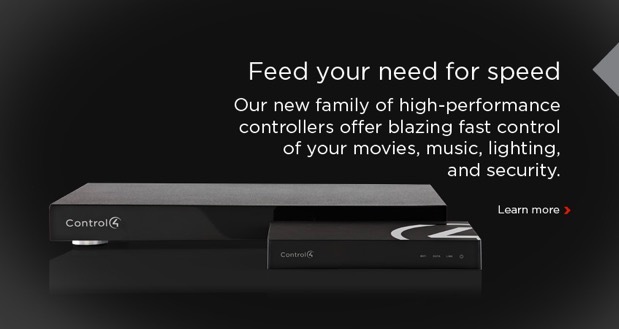 The Kaleidescape System provides the world's best Blu-ray viewing experience in the home. The M700 Disc Vault is a key component of the system, and last year it won the coveted 2011 CEDIA Electronic Lifestyles Best New Product award. Many clients have requested a version of the M700 Disc Vault that does not include an M-Class player. 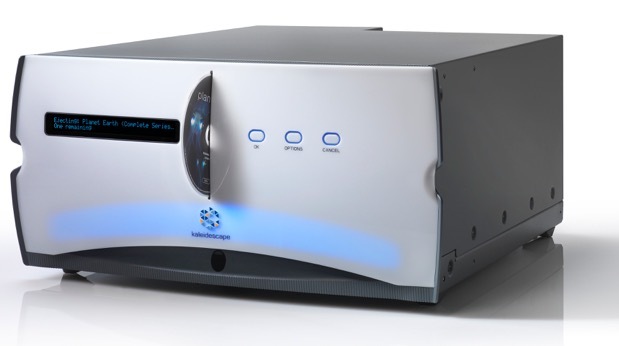 Kaleidescape is pleased to introduce the DV700 Disc Vault. It offers the same award-winning performance and capacity as that of its sister disc vault, but does not have an integrated player. It has capacity for 320 discs, and imports DVDs and CDs as easily as it imports Blu-ray Discs. Control buttons and a front panel display make it easy to use, and it can be located anywhere on the home's Ethernet network. How would you like to have direct access to the amount of energy you are using in your home or business at any given moment? Finally, you won’t have to hold your breath every time your energy bill is delivered to your mailbox! A growing number of businesses and families are utilizing energy monitoring technologies such as Eragy or Powerhouse Dynamics to monitor their energy output 24x7. Both technologies offer a host of cutting-edge features that are sure to give you invaluable insights on your energy usage. Eragy runs in conjunction with the Control4 home automation system and an energy sensor that is installed prior to usage. Throughout the day, Eragy monitors energy usage and then sends data to their secure website. The system then correlates your energy usage with utility provider’s rates and projects your current costs. 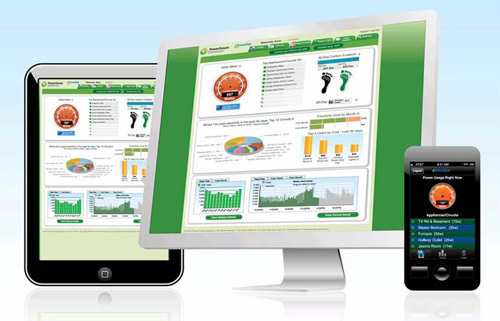 To view energy usage and cost statistics Eragy utilizes your Control4 touch panel, TV, computer, iPhone, Android, or iPad. After viewing the data, users you can then make needed adjustments to your home or business to decrease energy usage. Powerhouse Dynamics is an amazing system that takes energy monitoring to new heights. The system breaks down energy usage circuit-by-circuit and pinpoints various items in your home or business that are contributing to high energy costs. It also has the power to monitor each appliance within a home and sends out an alert when one isn’t performing well. You are also given the ability to control the temperature of your home from anywhere via a smartphone. Additionally, if you utilize renewable energy sources such as solar power, Powerhouse Dynamic’s eMonitor will reveal if they are producing the amount of which they are capable. When the system finds it necessary to alert you to a particular problem or unnecessary energy output, the system can be programmed to send you a text message or e-mail. You can liken the system to a home assistant that is there to make your live 100 times easier! The idea of energy efficiency is also being taken seriously throughout BC. In fact, there is a BC Hydro Smart Metering Program that will see the installation of 1.8 million meters in home and businesses by December 2012. The meters are expected to save BC residents more than $70 million over the next three years and $1.6 billion over the next 20 years. At Digital Smart Homes, we can provide you monitoring technologies that are compatible with Smart Meters. Additionally, we can provide you a full demo of the above systems. We invite you to drop by our showroom or contact me at 604-375-3474 extension #700 for more information. Next generation DAC resolves more musical information than any DAC using conventional chips and includes USB and Bluetooth inputs. Chord Electronics has once again produced the world's most technically advanced DAC. Building on the huge success of the award winning DAC64, the QBD76 now takes D/A conversion to a new level of performance not available in any other product. In addition USB and digital Bluetooth inputs allow you to enjoy very high quality audio playback from anywhere your music happens to be stored. Instead of simply using the best off the shelf DAC chips, Chord actually designed their own using the newest Xilinx field programmable gate arrays. This state-of-the-art development platform provides Chord engineers with a staggering 1,250,000 logic gates with which to design their DAC.